Are You Afraid of Becoming a Leader? Why do we fear the unknown? Success is achieved when we move into action, and often this requires us to move into the unknown. And yet, we all encounter those moments when moving forward seems scary and fills us with fear. Both inside and outside of work, these are fearful times. Over the last few years, the world has suffered through an unusual amount of anxiety-provoking situations, including the economic meltdown, numerous wars, the toppling of governments, and multiple natural disasters. Oh yeah, and don’t forget to throw in a radioactive nuclear disaster.Turbulent times give workers high-anxiety. 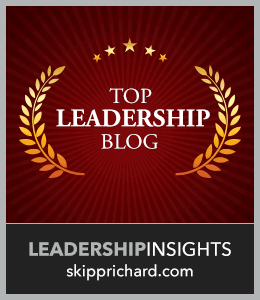 This article provides four steps that leaders can immediately take to build workplace courage and improve performance. Grow Up and Lead Us Already!